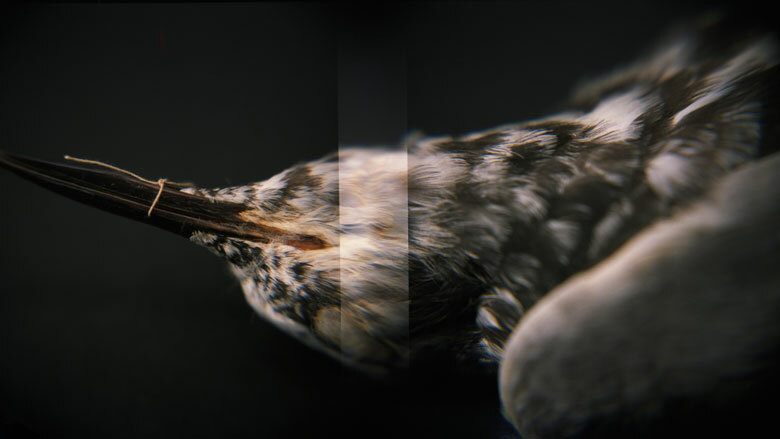 Amy Fichter, Black Tern (Chlidonias niger surinamensis), Holga 120N, Fuji Pro 400H, 2015. Specimen courtesy of the Milwaukee Public Museum. Birdsong: an extension of the beak. Speech: the antler of the mind. As the animals go, we go. The photographs in Remnants are of scientific bird specimens from species listed as endangered, threatened, or of special concern in Wisconsin’s Western Coulee and Ridges Ecological Landscape, of which my home county of Dunn is a part. Bird bones and study skins (preserved remains with intact feathers) are collected by naturalists and scientists, often over many years, in order to better understand natural, regional variations (e.g. wingspan, color pattern, bill size) within a particular species. I fear this world’s demise, with the innocents going first. These photographs are a contemplation on what we are losing, what will be lost. They are meditations executed with reverence and an intent toward beauty, with hope that our desire for a beautiful world may help us save it. The actual shooting of the photographs was done with a Holga medium-format film camera. Known as “toy” cameras, Holgas are made with low-cost parts and plastic lenses, which means there is hardly any control for focus, shutter, or aperture. Taking the photos for Remnants was very much a meditation: a slow, observational process, involving careful and repeated measurements to estimate focus and composition. Shooting this way allowed me to welcome the accidental and unplanned as partners in the creative process. The texture of film made it an ideal medium for representing the physicality of the specimens in front of me. The Bell Museum of Natural History at the University of Minnesota, the University of Wisconsin–Eau Claire, the Milwaukee Public Museum, and Chicago's Field Museum of Natural History were all kind enough to allow me to photograph in their collections. I thank them. Amy Fichter is Professor of Life Drawing at UW–Stout and director of the Studio Art program in the School of Art & Design. Her photos have been shown at RayKo Photo Center (San Francisco), Lightbox Photographic Gallery (Astoria, Oregon), and Project Basho (Philadelphia). Wisconsin People & Ideas is the Academy's quarterly magazine of contemporary Wisconsin thought and culture.